So where exactly did Ross Spano get more than $100,000 in his bid for Congress? Spano loaned amounts ranging from $27,500 to $35,000 to his campaign on June 30, Aug. 8 and Sept. 30. In all, Spano has loaned his campaign $174,500. The loans came after two people loaned him money. 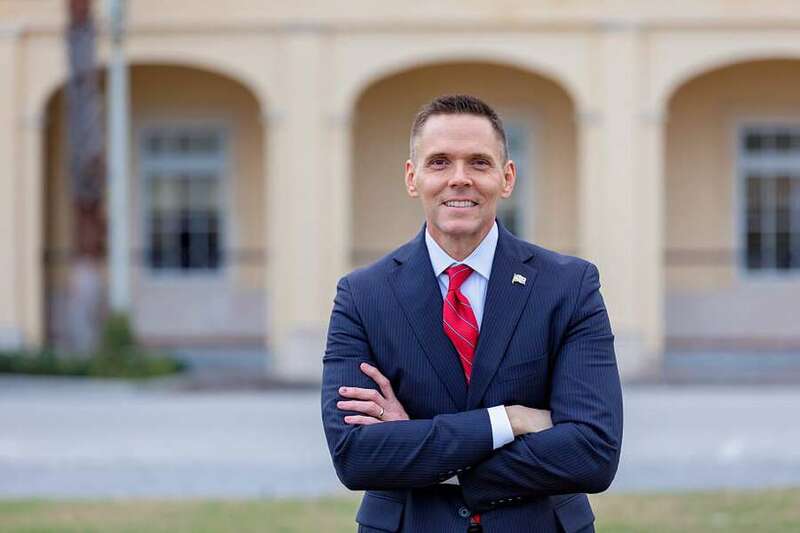 Ross Spano's newly released financial disclosure reveals loans from friends that appear to be the source of more than $100,000 that the Republican later loaned to his campaign for the U.S. Congress. The details emerged Monday after Spano finally filed a personal financial disclosure form that's required of all congressional candidates. It was due three-and-a-half months ago. Under federal law, a personal loan to a candidate is considered a contribution to the candidate's campaign, if the loan is intended to provide money for the campaign. The loans Spano received from his friends, and his subsequent loans to his campaign, far exceed the legal limits on campaign contributions. Spano's political consultant, Brock Mikosky, called question about the money "a non-issue, except that you guys are trying to make it an issue," referring to the Tampa Bay Times. But Amanda Sherman of the Democratic Party's congressional campaign arm said it was "calling for a full investigation by the Federal Elections Commission, which could result in fines and potentially jail time." The spokesman for his opponent, Democrat Kristen Carlson, said the campaign was "pursuing all possible paths to determine who's funding his campaign and whether those contributions are illegal." Spano, a state House member from Dover, is battling Carlson for the U.S. House seat from District 15 in eastern Hillsborough, Polk and Lake counties. It was vacated earlier this year when incumbent Republican Dennis Ross resigned. Some pollsters and analysts consider the race close despite the district's Republican tilt. Spano and his campaign declined to answer further questions about the loans, including their purpose, whether they were the source of the money he loaned his campaign and whether he put up any collateral. Spano's financial disclosure form, required of all candidates, was due in May, but he requested an extension until July 17. But it wasn't Sunday that he filed the form — after the Times asked him about it Friday. Under liabilities, the form discloses three promissory notes for loans to Spano from two individuals, both of whom have also contributed to his campaign – retiree Karen Hunter of Plant City and businessman Cary Carreno of Valrico. Mikosky described them as long-time friends of Spano. Each of the three loans was for an amount reported as $15,001 to $50,000. The federal disclosure forms require only the disclosure of ranges and not exact dollar amounts. Spano obtained the loans in June, August and September, according to the disclosure form, but exact dates aren't given. He loaned amounts ranging from $27,500 to $35,000 to his campaign on June 30, Aug. 8 and Sept. 30. In all, Spano has loaned his campaign $174,500. The limit on campaign contributions is $2,700 per election, or$5,400 for a primary and general election. Candidates themselves can contribute as much as they like, but must use personal funds to do so. In his campaign finance reports, Spano listed personal funds as the source of his loans to the campaign. Asked about the legality of a candidate using the proceeds of a personal loan to fund a loan to his campaign, elections law expert Mark Herron of Tallahassee referred a reporter to the Federal Elections Commission's online handbook for candidates. Herron works mostly for Democrats. The handbook states that if anyone, including a relative or friend, gives or loans the candidate money "for the purpose of influencing any election for Federal office," then, "The funds are not considered personal funds of the candidate." Instead, the gift or loan is considered a campaign contribution from the lender or giver, and "subject to the per-election limit." Anthony Pedicini, a prominent Tampa-based GOP political operative with strong ties to Republican legislative leadership and who worked on the campaign of one of Spano's primary opponents, Neil Combee, drew attention to the oversight with a Monday evening tweet.